Dawley Farm Village is growing. Join our exceptional community of retailers. Anchored by Target and nearby Walmart, Dawley Farm Village has immediate opportunities for new retail, restaurant and office development. 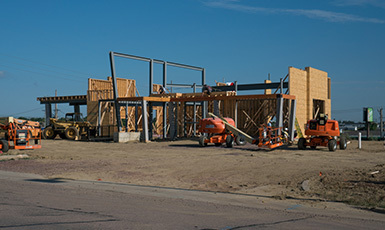 This 300-acre development is located at the crossroads of two major South Dakota highways in the state's largest city, Sioux Falls. Repeatedly ranked among the best places to do business in the country, this regional retail center has enjoyed years of steady growth nearly untouched by national economic woes. Dawley Farm Village has land available for new commercial development as well as leasing opportunities.